On Tuesday 19 March 2019, Brune Poirson, Secretary of State to the Minister for the Ecological and Inclusive Transition, and Erik Linquier, Commissioner General for France and President of COFREX, presented in Paris the French pavilion for the Universal Exposition to be held in Dubai for six months from 20 October 2020. BESIX will be responsible for building it. This is a new emblematic project that BESIX will be undertaking on the Expo site in the Emirate, one of its leading markets. BESIX has won the call for tenders launched by the French State. It was announced this Tuesday, 19 March 2019, in Paris. 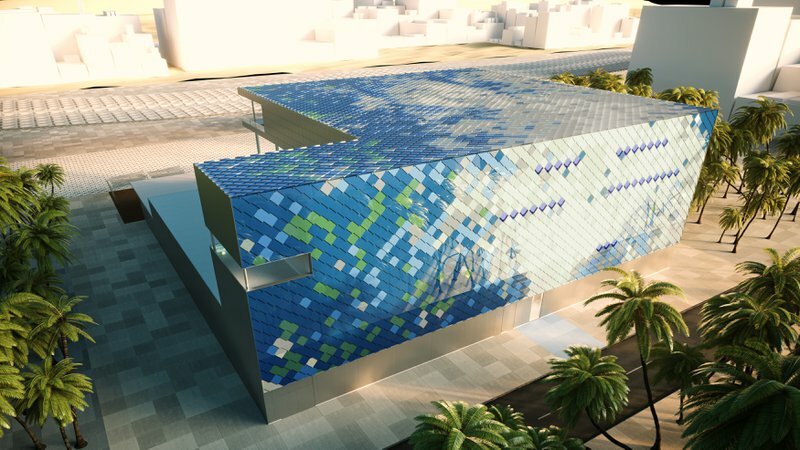 It is a new and prestigious construction project: the French Pavilion for the Universal Expo Dubai 2020. The United Arab Emirates is, just after the Benelux-France zone, the group's second largest market. There, BESIX has accumulated more than half a century of expertise. The French Pavilion, through the theme "Light, Lights”, will present itself as a hymn to mobility and enlightenment with a spectacular deployment of avant-garde technologies. The ecological transition is central to the design of this building, which is almost self-sufficient in energy, and whose wastewater will be recycled. 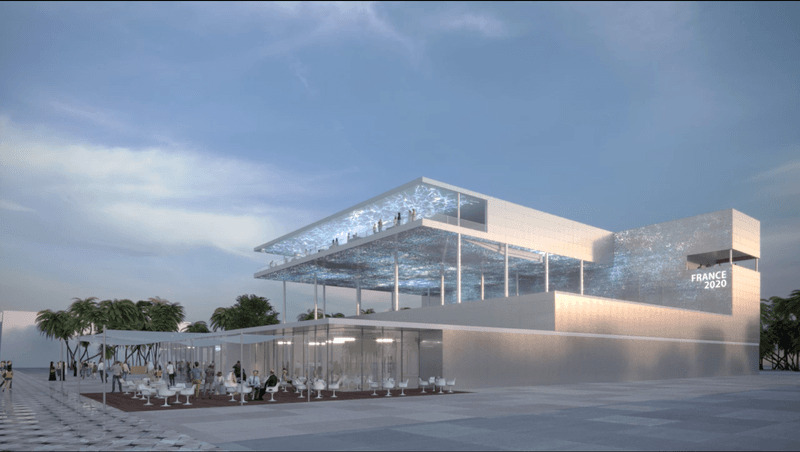 This Tuesday, 19 March, at the Ministry of Ecological and Solidary Transition in Paris, Brune Poirson and Erik Linquier lifted the veil on the architecture of the French Pavilion at the Dubai World Expo. From 20 October 2020 to 10 April 2021, 25 million visitors are expected in the United Arab Emirates. This fast-growing country is the BESIX group's second largest market. There it has already built the famous Burj Khalifa, the tallest tower in the world, up to 828 metres. 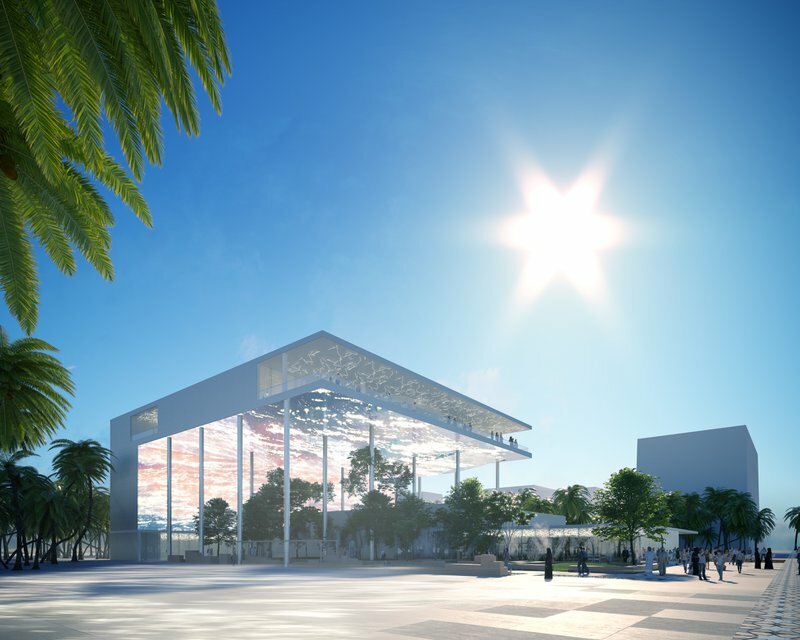 The "Pavillon France", a 5,100 m² futuristic work designed around the theme of light, is a new symbolically significant building that the group will be building on the Expo 2020 site. BESIX has won the tender to build this particularly water and energy-efficient building. 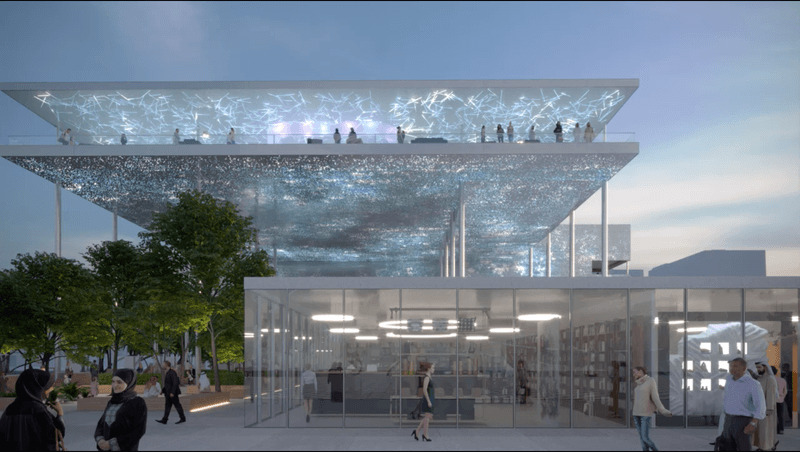 As the only Belgian operator in this project, the group will partner with architects L'Atelier du Prado and Celnikier & Grabli, the “Immersive(s)” collective, OTE Ingénierie and with Otelio, another French specialist in sustainable development. Work on the site will begin in May 2019 and will last 17 months. BESIX is particularly pleased at this prestigious choice. "We have been in the UAE for more than 50 years", says BESIX Group CEO Rik Vandenberghe. BESIX is very honoured to build one of the most beautiful pavilions of this World Expo, which will be showcasing examples of the eco-sustainable buildings of tomorrow. In the Pavillon France, French excellence in design will benefit from BESIX excellence in implementation. The French Pavilion is designed as a tribute to light. Light which warms. Light as a vector of data. But also light as philosophy. A building rich in sensations, stimulating discovery and reflection. The building entrusted to BESIX is a genuine technical feat with a spectacular 1,800 m² interior façade and a panoramic terrace offering a unique view of the Expo site. Under the roof of multicoloured photovoltaic tiles, resembling an impressionist painting, the building has been dreamed up as an invitation to walk in a light-filled space between earth and sky, embellished with gardens. The designers have set themselves a triple bio-climatic objective: to control the solar gains, to propose a high-insulation envelope, and to limit as much as possible the use of fossil energies. 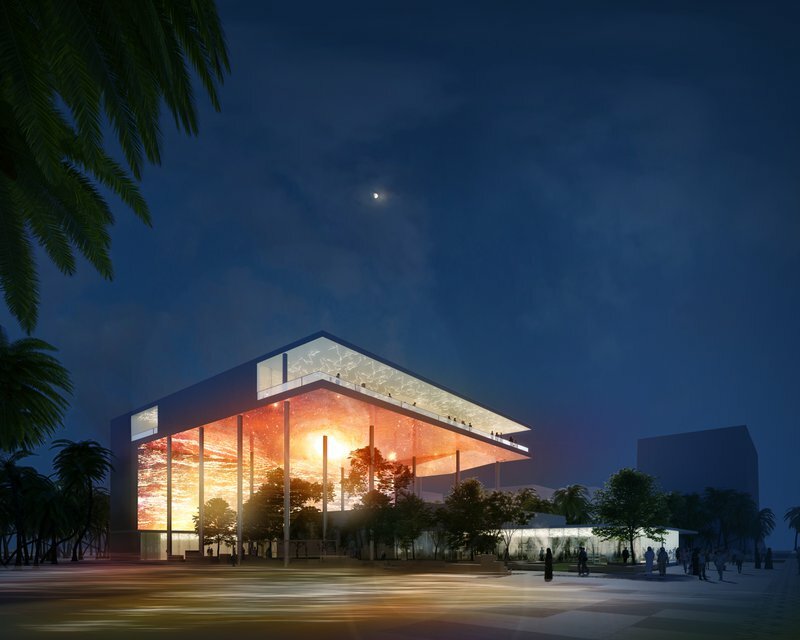 More than 80% of the energy consumed by the pavilion will be produced by the sun. A special installation will naturally refresh the interior spaces to save as much energy as possible. A micro wastewater treatment plant will recycle the wastewater and supply the watering network and sanitary facilities. In this way, potable water needs will be reduced by 30% in a region where water resources are precious. Finally, one of the technical features of the building is that it can be dismantled and reused. The global solution chosen by the designers avoids all wasteful use of materials, with a carbon footprint reduced to an absolute minimum. BESIX Group SA is a global player and the leading group in Belgium in the field of construction. Active since 1909, the group is based in Brussels and operates in Europe, the Middle East, Oceania, Africa, North America and Asia. Its achievements include the Burj Khalifa in Dubai, the world's tallest tower, the buildings of the European Parliament in Brussels, and the Grand Egyptian Museum on the Giza pyramids plateau. In the environmental field, BESIX took part in in the construction of the Carpe Diem tower , in the Paris district of La Défense, the first high-rise building in the world to obtain book LEED Platinum and HQE certification. It also took part in the construction of the world's first energy-neutral tunnel in the Netherlands. In Western Europe, the group and its subsidiaries build many advanced buildings, including passive ones. In the Middle East, BESIX builds, manages and maintains leading infrastructures for waste recycling and water treatment. It will be erecting many buildings on the site of the World Expo 2020 in Dubai. These include the pavilions of Belgium and France.